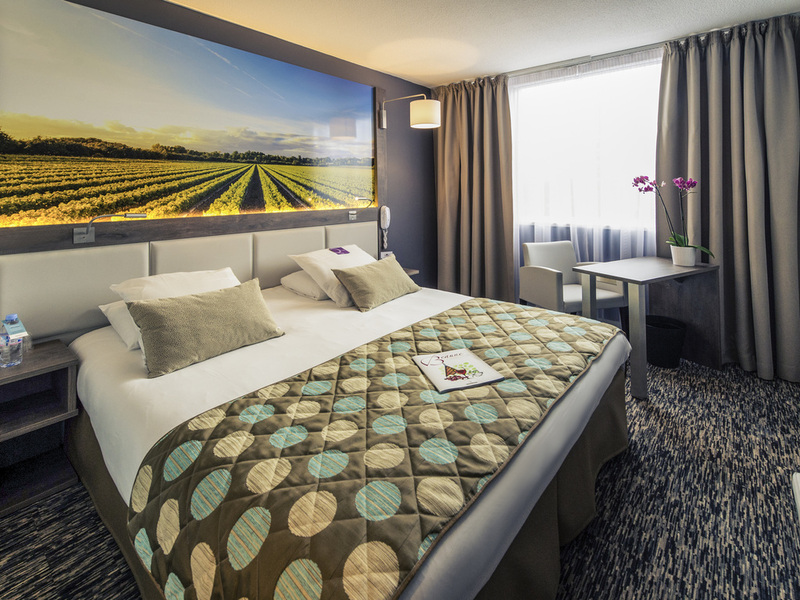 Close to the famous Hospices de Beaune and the city center, the 4-star Mercure Beaune Centre hotel is perfect for your business meetings and relaxing family stays. In a contemporary and renovated setting, our professional and welcoming teams will exceed your expectations, enabling you to work in complete serenity. The hotel is also located close to the main highway so you can discover our city and its surrounding vineyards with ease. 107 renovated rooms, free WIFI, family rooms. Choose from a number of room categories: the Standard Room or the Privilege Room offering a wider range of available services. The M7 restaurant welcomes you to Beaune; come and discover traditional, refined and regional cuisine that will delight adults and children alike. We invite you to take a moment to relax in the M7 bar or on our terraces and try a glass of Bourgogne wine or even a beer, created and brewed in Beaune.